Television, print and radio ads are capable of reaching huge audiences. But the larger the market, the more expensive it’s going to be, and there’s no guarantee you’ll have a captive audience. Aerial advertising is generally a more cost-effective way to reach a large, engaged group of people. Here are five large events that serve as strong marketing platforms. 1) NASCAR races: What’s great about NASCAR compared to other sporting events is the sheer amount of exposure you’re able to get. If the race is on a Sunday, people start showing up at the track up to five days before. You have access to a huge, captive audience that you’re able to market to for several days. If a Sunday race has an attendance of 160,000, there are going to be 100,000 people in the days leading up to it who will see your aerial banner. It’s rare to have such a captive audience all congregated in such a small area, and you can get your message in front of them for three or four days in a row. When you do that, recall rates go through the roof. 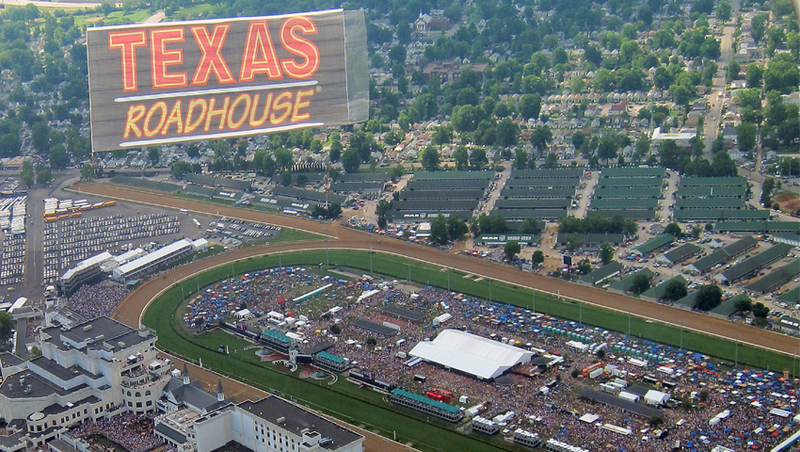 Aerial advertising is the only form your customers and prospects can see no matter where they are at the track. 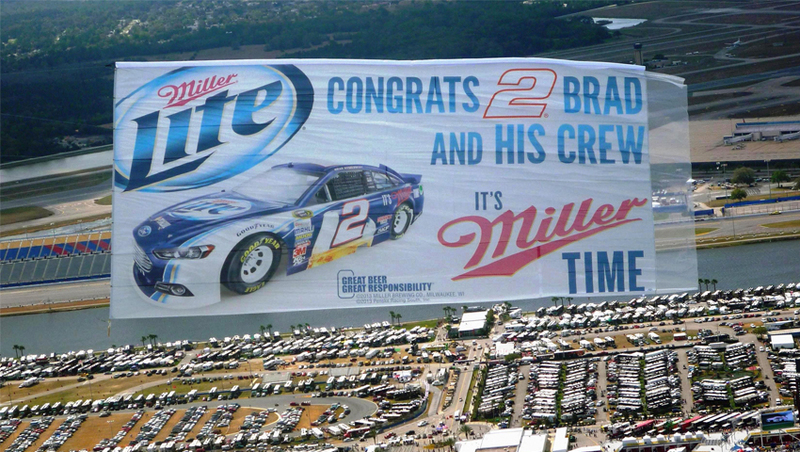 2) Music festivals: Just like with NASCAR fans, music festivals are great venues for aerial advertising because of the audience. Music festivals allow you to reach younger people who have disposable income while they’re having a great time. If you’re at a big music festival like Coachella in California or Firefly in Delaware, you’ll have 100,000 people who you’re able to advertise to for the whole event, and these events run for two consecutive weekends. 3) Kentucky Derby: What’s great about the Kentucky Derby is that it attracts a large spectrum of people from all different backgrounds. Spectators run the gamut from some of the most affluent people in the U.S. down to college kids who are looking for a good time. You’re bound to find diversity in this audience of about 150,000 people. It’s important to note that the race is relatively short, meaning you have plenty of time to engage the audience when it’s not focused on the action on the track. 4) Spring break: Aerial advertising is a highly effective way to target college students and young adults from all across the country. Rather than going to 100 different schools, you can fly over five different beaches and reach students from all across the country. They will return to their university and share the experience. It’s a much more cost-effective way to reach students than going to individual schools. 5) Football games: Aerial advertising allows you to get your message in front of the thousands of fans who tailgate at NFL and NCAA football games. These venues are exceptional for targeting men, as well. 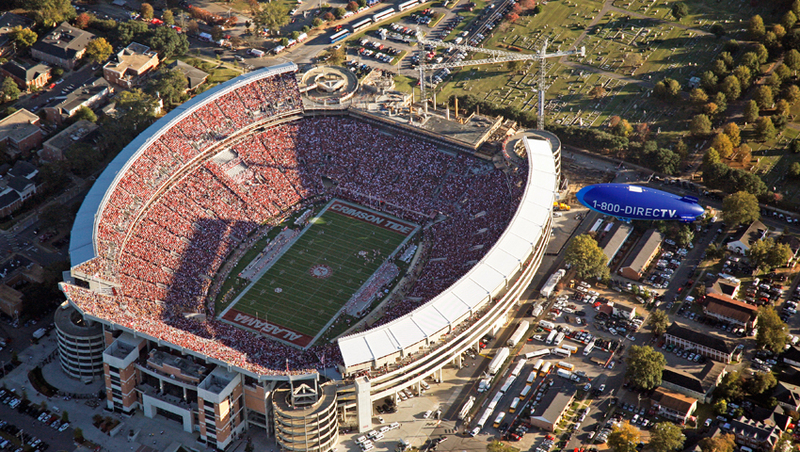 There might be 75,000 people tailgating before a big college game and your banner or blimp will definitely get noticed and your message noted. If kickoff is at 4 p.m., people start showing up befre noon. That gives you hours of exposure time when fans are relaxing and open to engagement. Developing a successful aerial campaign starts with figuring out who your brand’s target is, and then doing research to create a list of events to target. Whether you’re after NASCAR fans or music lovers, aerial can be the most cost-effective way to bring your message to the events your customers care about.